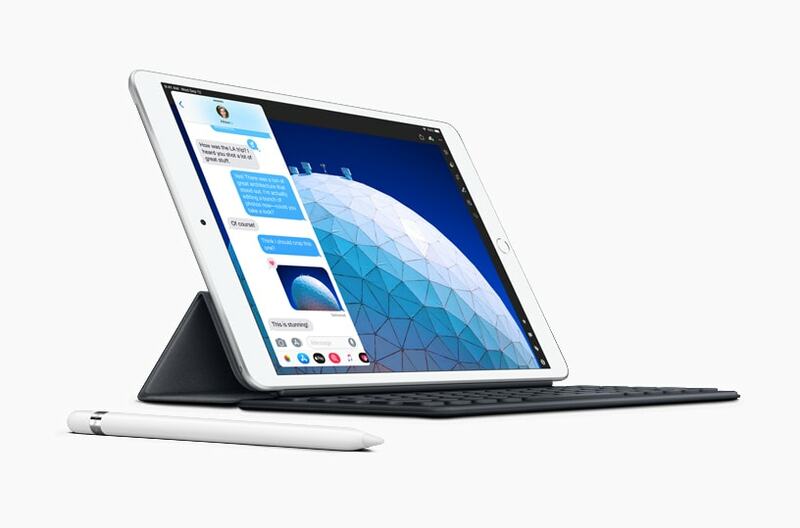 Cupertino, California — Apple introduced the all-new iPad Air in an ultra-thin 10.5-inch design, offering the latest innovations including Apple Pencil support and high-end performance at a breakthrough price. With the A12 Bionic chip with Apple’s Neural Engine, the new iPad Air delivers a 70 percent boost in performance and twice the graphics capability, and the advanced Retina display with True Tone technology is nearly 20 percent larger with over half a million more pixels. Apple today also introduced the new 7.9-inch iPad mini, a major upgrade for iPad mini fans who love a compact, ultra-portable design packed with the latest technology. With the A12 Bionic chip, the new iPad mini is a powerful multitasking machine, delivering three times the performance and nine times faster graphics. The advanced Retina display with True Tone technology and wide color support is 25 percent brighter and has the highest pixel density of any iPad, delivering an immersive visual experience in any setting. And with Apple Pencil support, the new iPad mini is the perfect take-anywhere notepad for sketching and jotting down thoughts on the go. The new iPads are available to order starting today and in stores next week. 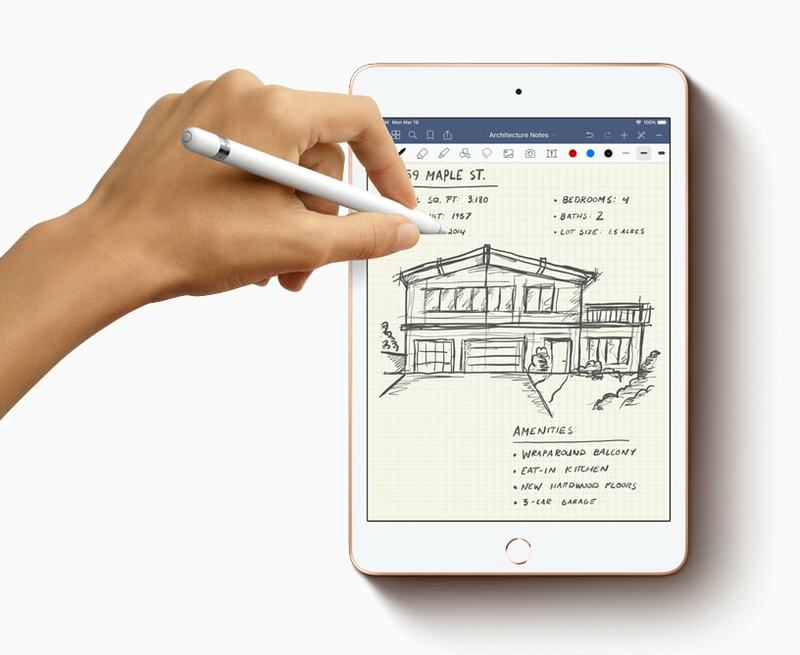 Apple Pencil opens up new creativity and productivity possibilities for iPad mini and iPad Air users, from drawing and writing down thoughts to marking up documents and retouching photos. The must-have tool among students, professionals, and creatives delivers a remarkably fluid and natural drawing experience and provides pixel-perfect accuracy and low latency for activities within popular apps including Procreate, Notability, Pixelmator Photo (coming soon) and Microsoft Office. With advanced front- and back-facing cameras, iPad mini, and iPad Air take gorgeous photos and capture clear and stable 1080p HD videos. The upgraded cameras with exceptional low-light performance and HD video recording are great for document scanning and connecting with friends and family on Group FaceTime calls, and with advanced sensors, help enable immersive AR experiences. 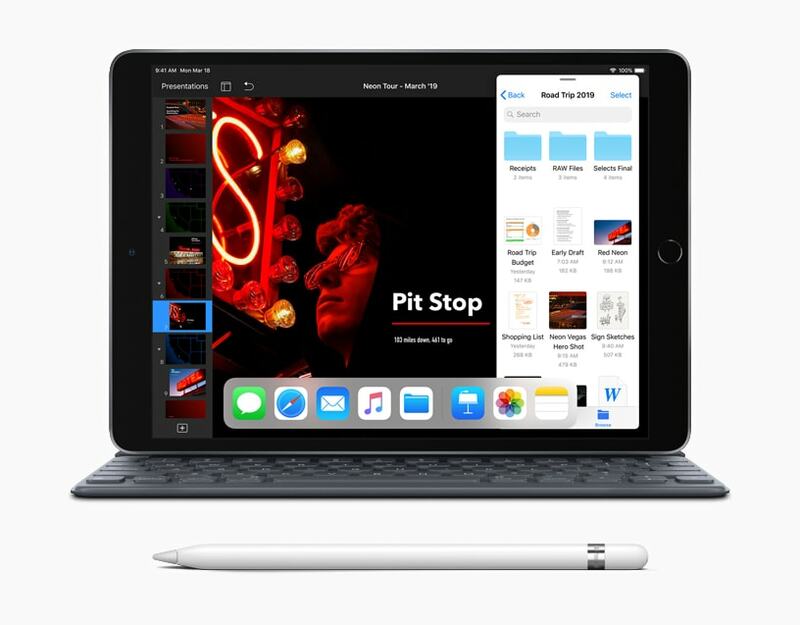 The new iPad Air and iPad mini join the most affordable 9.7-inch iPad and the most advanced iPad Pro models, offering the best, most innovative iPad lineup ever. The complete lineup now includes Apple Pencil support, best-in-class performance, advanced displays and all-day battery life for an experience unmatched by any other device. Whether customers prioritize portability, screen size, power or price, there’s an iPad for everyone.